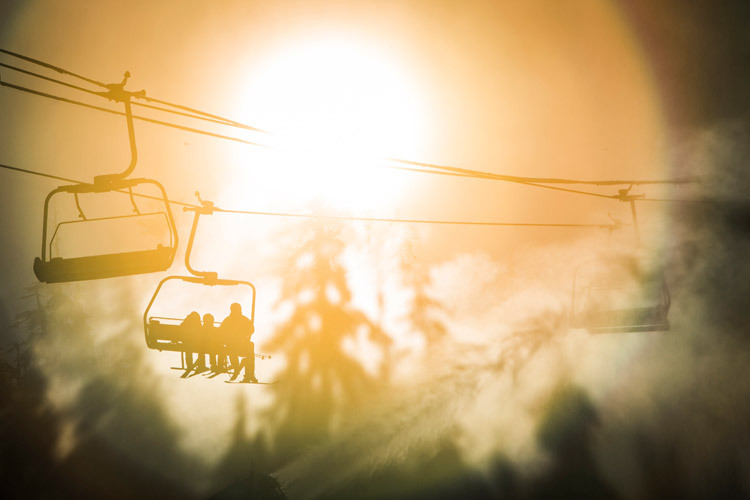 With jaw-dropping scenery, clean mountain air and a general “live-your-dreams” vibe, Whistler is an easy place to fall in love with. It’s also a place where it’s easy to fall in love with someone else, thanks to a population of young, healthy outdoor enthusiasts and a town with more hot tubs, patios and nightclubs per capita than pretty much anywhere else. Toss in some luxury hotels, world-class restaurants and too many awesome activities to list and you’ve got the perfect setting for love and marriage. From quiet mountain-top sunset ceremonies to massive garden-party extravaganzas on the lake shore the possibilities for a perfect Whistler wedding are endless. And no one knows it better than the people who live here. 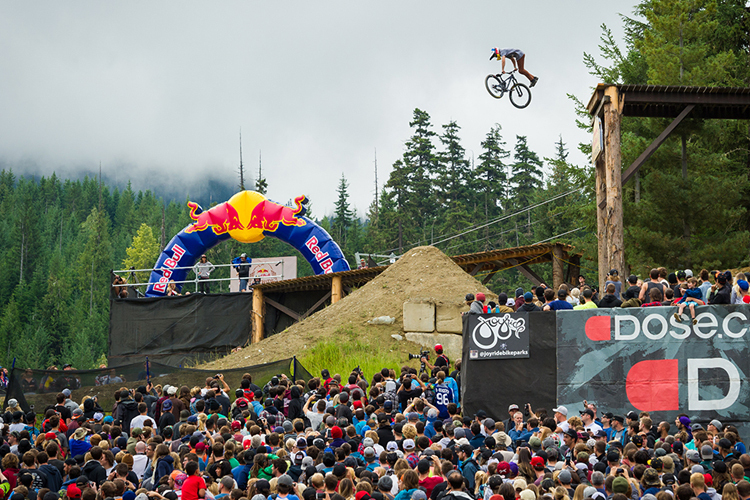 On Sunday August 25, 2013, while the world watched Whistler’s first ever IRONMAN® Canada, the longtime locals snuck south of town to a quiet forest grove on the Cheakamus River for the wedding of a local hero (and the party of the year) as Olympic Skicross champion and born-and-raised Whistler girl Ashleigh McIvor, 29, tied the knot with fiancé Jay DeMerit, a Wisconsin-born soccer star and current member of the Vancouver Whitecaps FC. After bringing home gold on home snow at the 2010 Winter Games McIvor met DeMerit in 2011 at a Vancouver Canucks game and within months the two athletes began to realize they had stumbled on a winning combination. DeMerit’s quick wit and playful sense of humour integrated perfectly into McIvor’s hometown Whistler (the duo had comedic cameos in last spring’s winning WSSF 72-Filmmaker Showdown film) and when it came time to plan a wedding there was never a question of where to celebrate the day. 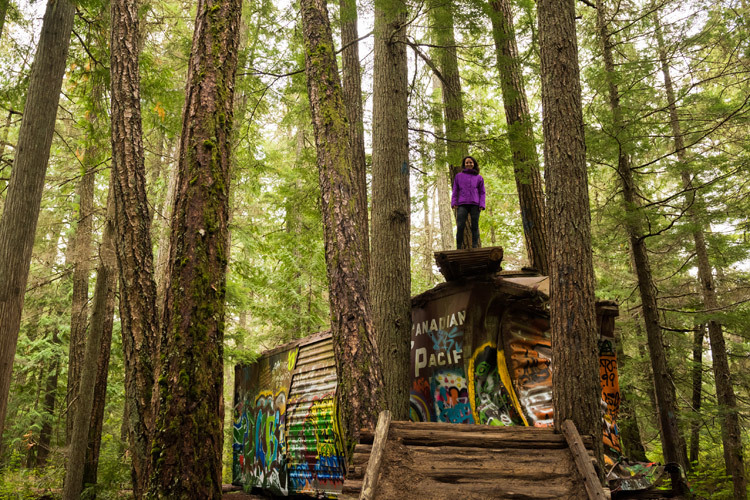 Jay and Ashleigh were married beside the Cheakamus river atop an altar constructed from log rounds and giant boulders set amongst ancient hemlock and cedar trees. Ashleigh beamed through the woodland ceremony in a ravishing backless gown of ivory ruffles with jewelry from Rare Investment, including a show-stopping 14-carat golden diamond. While 300 family and friends looked on the couple exchanged vows of love, life and fulfillment. 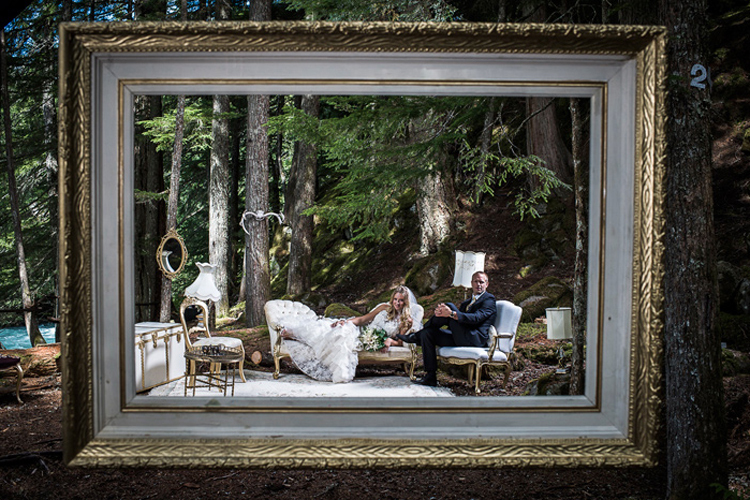 In true champion form, McIvor and DeMerit –now the DeMerits – planned the entire wedding themselves, hosting a whirlwind weekend of events and celebrations showcasing their life together and the beauty of their BC home. Festivities included box seats for a Vancouver Whitecaps game, lunch on Granville Island, sightseeing along the Sea to Sky Corridor and beach BBQs in Whistler. 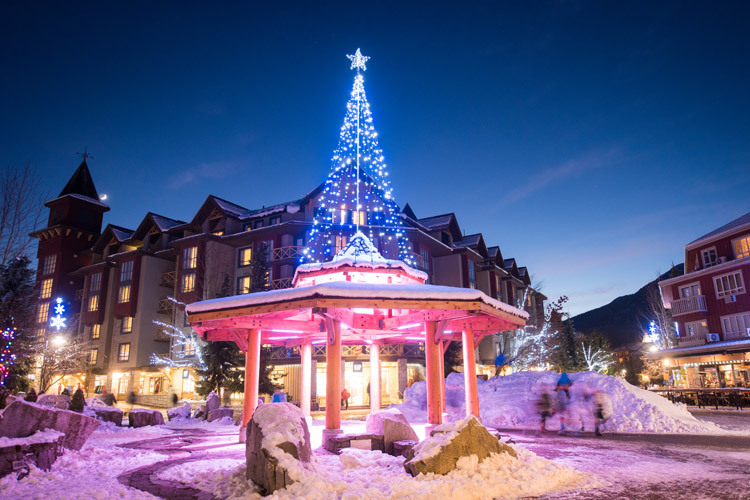 The wedding dinner was a locally sourced feast held at Whistler Olympic Park and prepared by Jeff MacIntosh of Boneta Restaurant. Guests enjoyed grilled Pacific salmon (caught by Jay and friends) as well as slow-roasted, maple-bourbon pulled pork, Yukon Gold potato salad with black truffle mayo, farro salad and local corn on the cob from Berry Mobile Fruit Distribution. Iceberg Vodka martinis and wines from British Columbia’s NK’MIP and See Ya Later vineyards rounded out the evening. The forest-party reception included a crystal chandelier hung high above the altar/dance floor with performances from local DJ’s and legendary Whistler patio-band The Hairfarmers. From the hand-peeled log railings lining the ceremony site to the attendants helping guests navigate a particularly steep and root-covered forest trail to canoes full of ice cold Granville Island beers, no detail was overlooked and McIvor’s hometown pride shone throughout the event.